While the #BatteryGate has updated a strange strategy of Apple that bridles the performance of iPhone whose batteries have a certain age, the company Tim Cook does not sit idly and returns to the charge for the third time this week. 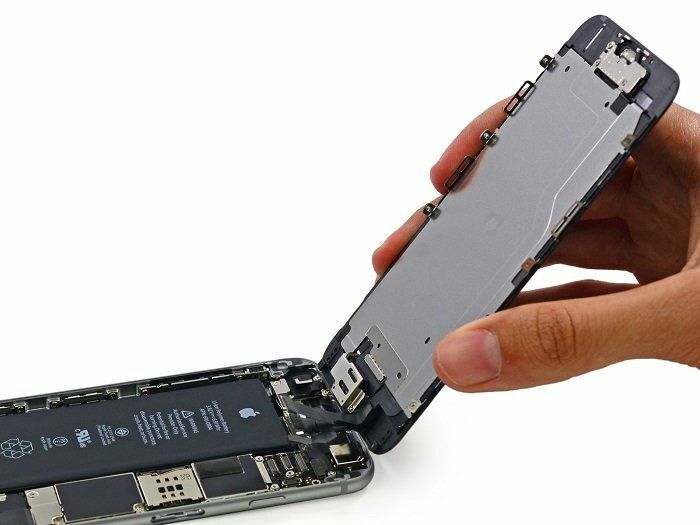 #BatteryGate has updated a strange strategy of Apple that bridles the performance of iPhone whose batteries have a certain age, the company Tim Cook does not sit idly and returns to the charge for the third time this week. After explaining the reasons for this management (the iOS system "protects" the components of a sudden extinction) and a battery change offer to 29 $ , Apple details the effects of this clamping in case of low battery. For the record, this affects the iPhone 6 and iPhone 6S for the most part. Read Also: Is Apple preparing a foldable iPhone? Apple has just added a page dedicated to this problem of power management and batteries at this address . The battery life is how long your device can work before needing to be recharged. What is known as "battery life" is the total life of your battery before you need to replace it. One factor that affects battery life and battery life is all the things you do with your device. No matter how you use it, you can make improvements. The life of a battery is a function of its "chemical age", which is more than just the passage of time. It brings together different factors, such as the number of charge cycles and maintenance that the battery has received. Follow these tips to maximize battery performance and extend its useful life. For example, when you store your iPhone for a long time, store it half full. Also, avoid charging your iPhone in a hot environment, or exposing it to high temperatures or leaving it in the sun for long periods of time.